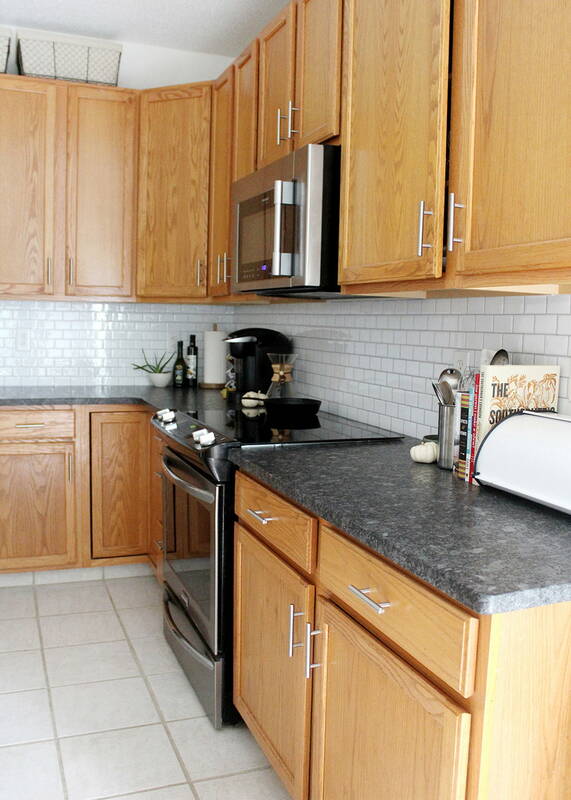 Earlier this year we replaced our original laminate countertops with leathered granite (blog post on that here!) And now we are making plans to install a backsplash. Tile is the standard material for backsplash, and I included a few tile backsplash ideas in this roundup. But have you ever thought of using wallpaper? Brass? Wood planks? a Sharpie Marker? !